It takes a village to bring fresh local food to your plate. It is the tireless effort of our board members, site managers and volunteers that help the cooperative thrive. A special thanks to each and every one of you! As a producer and member owned and managed cooperative, our Board is elected at our annual membership meeting in January to serve multiple-year terms. Read more about how the co-op works (link to page with bylaws summary). Owner and operator of Y Knot Farm & Ranch with wife Nina. 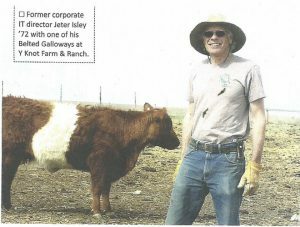 The Isleys own ~1,110 organic acres mostly in wheat, forage, pastures and organic hoop house and gardens in Northwest Kansas. Jeter and Nina are committed to providing good food for our families to eat and would like to extend the opportunity to others. Becky is the sole proprietor of Becky’s Bierocks, a successful USDA inspected/certified food processing facility that continues to make each Bierock (cabbage pocket, runza, kraut burger) fresh daily and by hand. Becky’s Bierocks was started in 1991 and has had continual growth since. 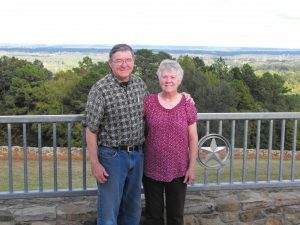 Becky was an integral part of the original steering committee for HPFC, attending an orientation offered by Oklahoma Food Coop in Oklahoma City, OK, and helped define the direction for the beginning of High Plains Food Cooperative. As Vice President of Producers she tracks regulations Producers need to follow in order to offer high quality products to our members. Becky was one of the original charter member producers offering products for sale through HPFC. A native of Northwest Kansas, Becky has 3 grown children and 8 grandchildren. Raised on the 125-year-old Sramek Family Farm in far northwest Rawlins County, Kansas and charter member of the High Plains Food Co-op. currently working on expanding egg and poultry production with other co-op members. Dallas lives on a working farm in Bennett Colorado and operates a natural food business called Eastern Plains Natural Foods. At AJCM Wachsmann Farms, We believe in growing healthy animals and nutritious vegetables. Everyone is involved, so are a part of the name. My wife Amy and our kids Connor and Morgan enjoy helping gather eggs daily and also are a huge help in the garden from planting, weeding, and harvesting! Married to John Rundel and together raise a herd of Tibetan Yak they started, with the first Yak auction at the Denver Stock Show in January 1995. Back in 2012, I began working with Eastern Plains Natural Food to learn all things turkey. Then my first go with Heritage breed “Blue State” turkeys began on July 1st, 2012. These turkeys are also listed on the endangered species list. They are beautiful birds that fly, chase bugs, chase kids, and thrive on our prairie. My family has taken to “Turkey Walks” with the birds following us where ever we go. Robert was born and raised in Cheyenne County, KS. Robert & his wife JoAnn live on the family farm that was started by his great grandparents 116 years ago. This is the 12th year that the farm has been certified organic. Being an organic farmer has given us a healthier life style and is rewarding to raising healthier food products for others. We currently have 2100 acres certified organic where they grow organic grain and cattle. The pigs and chickens are all natural but only fed organic grain. Nestled in the southeastern corner of the Nebraska Panhandle, BeeHaven Farm Roadside Market is a farm owned and operated by myself, my husband Rick and our grown children Robert, Chris and Sarah. Jo was the Chairman of the steering committee who along with Becky Roberson were lynchpins in the formation of High Plains Food Cooperative. Both attended an Orientation at Oklahoma Food Coop and based the original format of HPFC on that learning experience. She was President for the first year, transitioning to Treasurer where her background and skills were more valuable to moving the Coop forward. She was raised in the Denver area and held jobs there until retiring and moving to Kansas to enjoy the good life. She is a partner in Prairie House Herbs and Treasures, one of the original producers on HPFC. Chris Schmidt, Past President, co-owner of Schmidt’s Premium Meats produced by the Schmidt families who are fourth generation farmers and ranchers that raise crops and cattle in the beautiful Sappa Valley in far southwest Rawlins County Kansas. Rick Reeser, As former Vice President of Distribution, Rick (and his wife Laura) were instrumental in developing the current distribution system for the retail portion of HPFC. They refined many processes and continue to attend each distribution day, transporting the items from our Nebraska producers to the distribution point. He grew up in Colorado and graduated from CSU with a Bachelor of Science degree in Physical Science, continued his education and received a Masters degree inof School Administration from Colorado University. He and Laura have 4 grown children and 7 grandchildren. Laura is a partner in Prairie House Herbs and Treasurers, one of the original producers for HPFC. Both Laura and Rick push the Coop to stay true to its original values relating to quality products containing no steroids, genetically modified organisms or antibiotics. 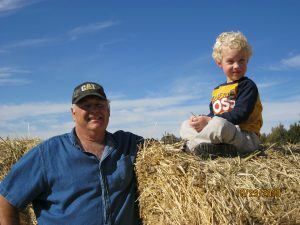 We are a 100% family owned and operated Farming and Ranching operation. In 2005 we purchased our 70-acre farm and began a long journey repairing a farm that had been neglected for decades.